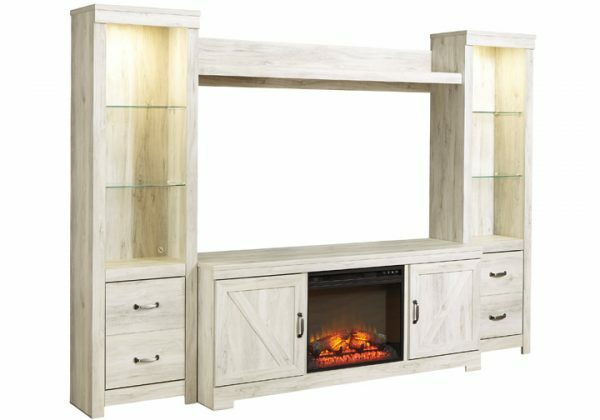 Express your farmhouse style with the Bellaby 4 Pc Entertainment Center. 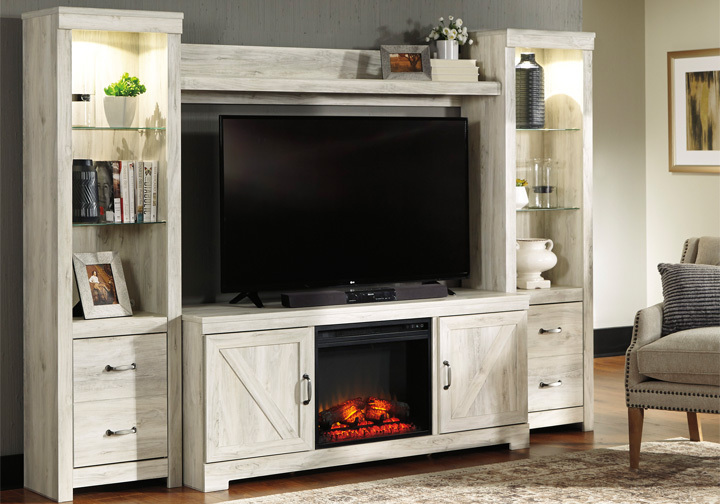 Wispy white finish over replicated oak wood grain is a delightful change from the ordinary. Clean-lined, classic styling with barn door inspiration provides a country chic aesthetic that’s a breath of fresh air. The fireplace insert includes an electric flame feature that operates with or without heat, six-level temperature setting, five levels of brightness and remote control—along with an overheating control device for added safety.